"I have huge respect for the art world," artist Jaimie Warren begins, "but my influences have always been more from pop culture, reality television and the Internet." Nowhere were those influences more apparent than in the Kansas City-based artist's recent photo show at The Hole gallery in New York City. Entitled The Whoas of Female Tragedy II, the exhibit featured striking-and awesomely freaky-self-portraits of Warren resembling Photoshopped images and Internet memes like "Lasagna Del Rey" (a slab of pasta meant to look like the singer). Warren's work has a purposeful "homemade feel" and the artist says it can take weeks to get all of the costumes, wigs, makeup and background materials right for each photo. 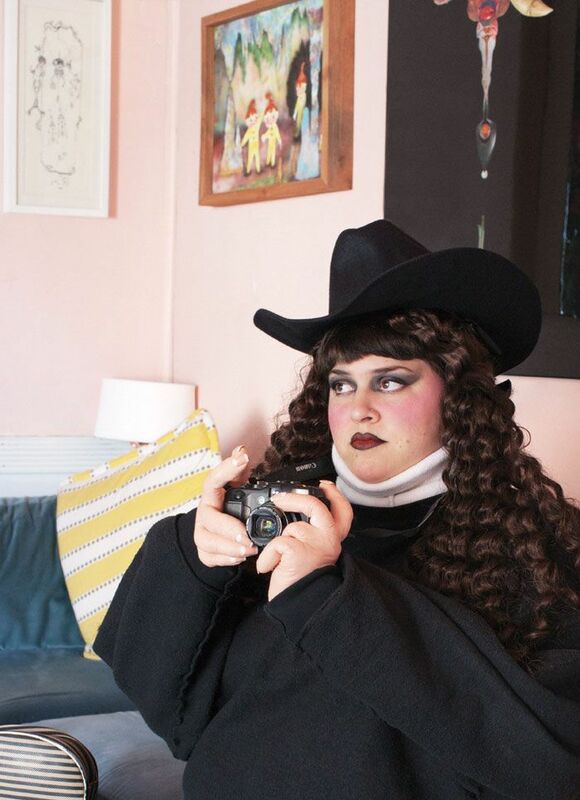 In case you've already started drawing parallels, yes, she's used to being described as "Cindy Sherman-meets-Reddit" and is flattered by the comparisons. Warren's affinity for the absurd can also be seen in Whoop Dee Doo -- the "faux public access show" she created with artist Matt Roche -- and in the many projects she's collaborated on with other members of Kansas City's blossoming art scene, including SSION's Cody Critcheloe and the avant L.A.-by-way-of-K.C. designer Peggy Noland. Inspired by Critcheloe, Warren says she wants to further explore performance art and continue recreating moments in pop culture. She already has one such reference in mind: "There's one scene I'm obsessed with in The Muppets Take Manhattan where Miss Piggy and Joan Rivers are in Bergdorf Goodman and they start throwing makeup around," she says. "They're supposed to be working at the makeup counter and they just start going crazy."